Making a lampshade liner is a fun and easy project that is great for sprucing up an old lamp. 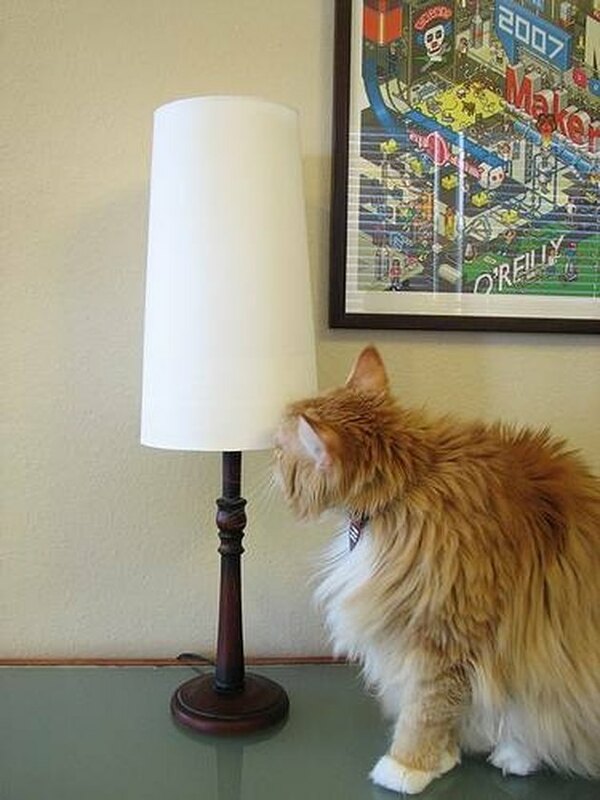 You can also make the lamp more functional by lining the lampshade in order to reduce glare. Regardless of why you want to line your lampshade, here are instructions that will make this project simple and enjoyable. Encircle the outside of the lampshade with the paper strip from your paper roll. Allow the paper to lie smoothly along the surface of the lampshade all the way around. Use the pencil to trace onto the paper the outline of the top and bottom of the lampshade. Also mark where the paper strip overlaps itself. Use the scissors to cut out the template you traced in Step 3. Trim 1/8 of an inch from the top and bottom edges of your template. Lay the template onto the decorative paper. Trace around the template onto the decorative paper with the pencil. Cut the decorative paper on the traced line. Work in sections and use the double sided tape to attach the decorative paper to the inside of the lampshade.